Join Stairwell’s on a speculative walking tour exploring San Francisco’s Golden Gate Heights and Sunset neighborhoods. 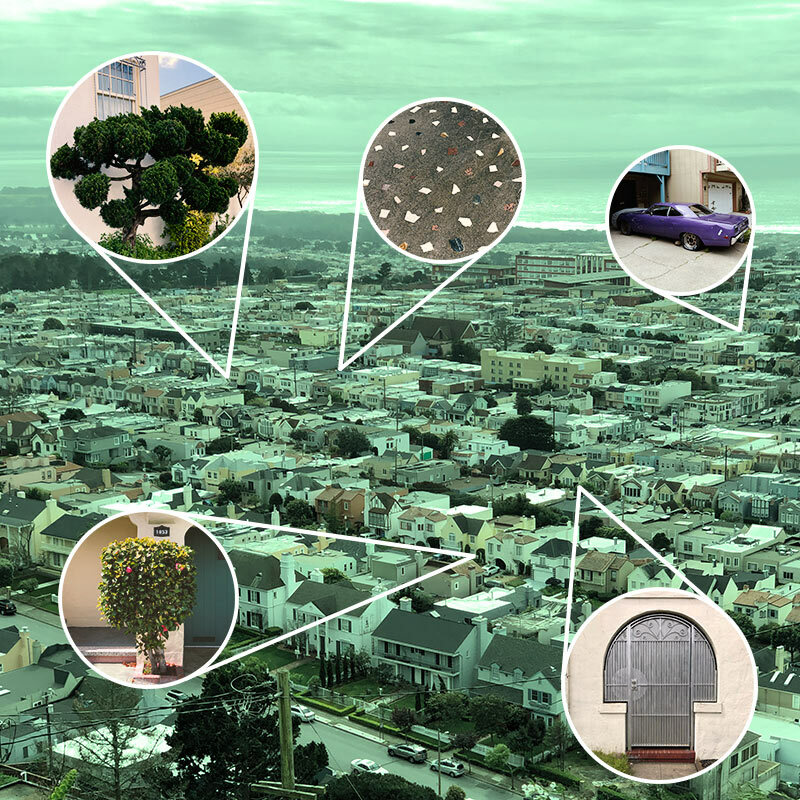 Together we will survey living sculptures, dabble in esoteric cartography, and scope some of SF’s most decked-out public stairways for sweeping views of the city, Golden Gate Park and Ocean Beach. Along the way, participants will have the chance to conduct a group signaling experiment using non-verbal, long-distance communication and encounter skeletons dating back 150 million years. We will conclude this Field Trip with an optional visit to Sunset Reservoir Brewing Company for some convivial food and drink. This 2.5 hour outdoor excursion is led by Stairwell’s (Carey Lin and Gabriel Gilder). We will meet on Ortega St. at 26th Ave. at 1:45pm and depart promptly at 2pm. Stairwell’s Field Trips (now in their seventh year!) are participatory artist-led walking tours that explore everyday spaces in the Bay Area and beyond. Visit our Project Archive to view images and learn more about past Stairwell’s Field Trips. ‘X Marks the Steps’ is presented in partnership with Intersection for the Arts as part of the Intersect SF Series supported with funds from Grants for the Arts. Stay-up-to date on Stairwell’s projects and programs!